I know I am WAY behind on the quinoa train, but it has honestly never appealed to me. I'm good with rice. I love rice and have it at least once a week so I figured I didn't need another grain to try. Then I saw this recipe and thought I'd give it a go. I'm trying to eat a little healthier this year so I thought it couldn't hurt. Especially mixed into a soup. Let's just say the quinoa was great and I'm definitely going to try it again, but this soup was incredible! My husband said it was his new favorite soup and I have to agree with him. The chicken was amazing and there is SO much flavor. The toppings made it even better and I can't wait to make it again. Do yourself a favor and make this soup! 1. To a 6-quart slow cooker add chicken broth, enchilada sauce, tomatoes, chili powder, cumin and season with salt and pepper to taste. Add in chicken, onion and garlic. 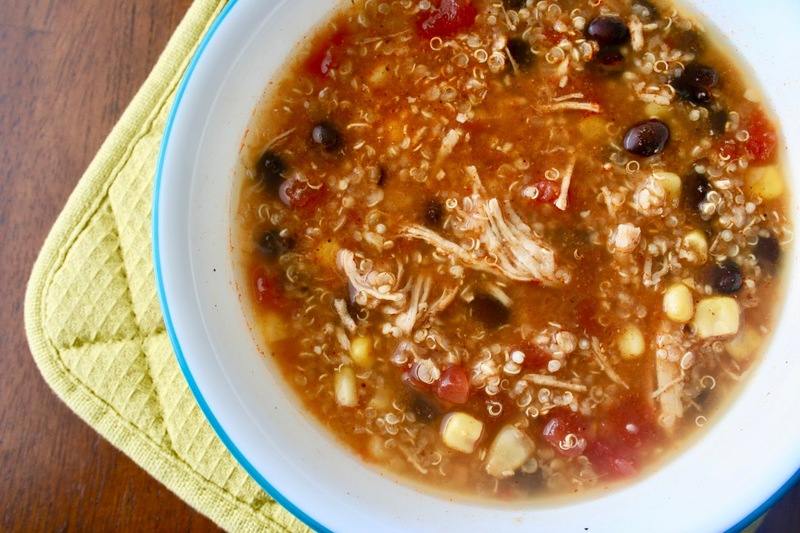 Cover and cook on low heat for 4-6 hours or until chicken has cooked through and is tender, adding in quinoa during the last 30 minutes of cooking. Remove chicken and shred. 2. 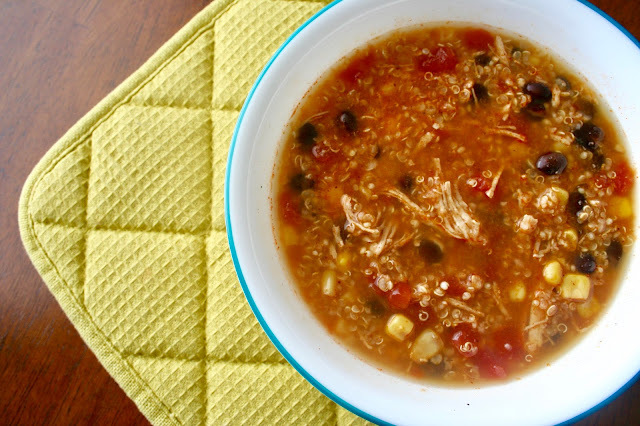 Add corn and black beans to soup and heat through. Return chicken to soup and stir in cilantro. 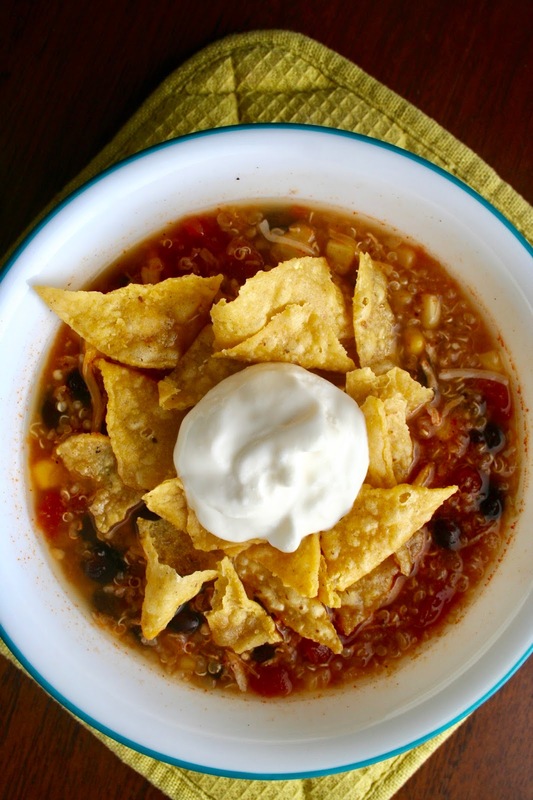 Serve warm with cheese, sour cream and tortilla chips.